Michael T., thank you for your kind review; we are happy to pass along your comments to the team here at The Grandview at Lake Murray! Thank you, and have a fantastic day! Great move in and facilities. Staff is very nice and you can get in touch with someone at all time. The pool is ideal for columbia hot,days. It overlooks lake murray. Hi William M., we are very happy to have provided you with such a positive experience! Thanks again for the recommendation, and have an amazing day! Love the location with quick access to Lake Murray as well as many nearby stores, the friendly and helpful staff, and our neighbors are always kind. My kitchen faucet leaked and it was replaced in timely manner. The shared space are well kept and clean. Staffs are very professional and helpful. Great resident community! Hi Pongkwan S., thank you so much for your positive comments about The Grandview at Lake Murray! We are always more than happy to assist you if anything else comes up. Take care! Awesome place, awesome people, great place to live!! I would highly recommend it to anyone looking for an amazing and fun place to live. Offering a great location and always immaculate! Amy F., your wonderful feedback and rating mean a lot to us. Our team strives to deliver an excellent experience, and are glad you found this to be the case during your visit. If you have further needs or questions, please reach out! It is a nice place, I love my garage! Wish there was more inside storage but spacious apartment that’s cozy. The screened in balcony is awesome along with the beautiful pool & workout room!!! We appreciate all reviews, and appreciate you giving us the chance to improve by providing us with this feedback. Thank you so much again for your feedback! We hope you have a great day! #thegrandviewatlakemurray Let me give you the scoop on the best place to rent in columbia. Staff- The staff are AMAZING they are friendly, honest, and very helpful. The respond immediately to concerns and are fair. Maintenance- They are fAntastic they are fast and knowledgeable. I like how they take their jobs seriously and aim to ensure everything is working properly. I love them all. The work so hard. Trust me living somewhere that has this attribute is a God send alone. Nothing worse than renting and feeling like nothing gets fixed. At the Grandview that’s never an issue. Amenities- The office always offers these functions that allow you to eat, drink, socialize with neighbors I think that’s cool. The pool n grill areas is a vacation within in itself. The views of the lake or wooded forest breath taking. Large bedrooms, screened porches, modern apartment homes Price let’s just say I rented from an apartment in the same street and paid a few hundred dollars more and it wasn’t half as nice as the grandview. Not even close. My home is very affordable and worth every dime!!! Schools are lexington 5 the best district !!!!! Location - close to I20 and I26 Near the mall, movie theaters, mall, shopping, lake. Neighbors- Quiet and friendly Gym and car care center love it!!!! If your looking for a home then The grandview at Lake murray is it. Lenzie R., thank you for your kind review; we are happy to pass along your comments to the team here at The Grandview at Lake Murray! Thank you, and have a fantastic day! Samantha made are decision to live at The Grandview an easy one. She has been very attentive to our needs and left us with no questions or concerns. Hannah D., we're happy to hear you had such a positive experience with our team! Thank you, and have a fantastic day! I'm very satisfied living here! The complex is so beautiful & the staff has been wonderful to deal with! Repairs are dealt with immediately & precisely! The groundskeepers do a fabulous job! Thank you again for taking the time to let us know how we did. We hope you have a great day! Our team strives to deliver an excellent experience, and are glad you found this to be the case during your visit. If you have further needs or questions, please reach out! The office and maintenance staff has been wonderful. The Grandview has a great location if you are looking to be close to Lake Murray and shops. Everyone is so friendly and helpful. I wouldn’t want to live anywhere else. The Grandview is a really great place to live, I love it here. It took a while adjusting to apartment living, but the Grandview staff made my transition really smooth. My sincere appreciation goes out to the Staff. 'Great Job'. Marvin H., thank you for your kind review; we are happy to pass along your comments to the team here at The Grandview at Lake Murray! Thank you again for letting our team know how we did! We look forward to helping again in the future. Take care! The most wonderful staff. I could not say enough about the community and amenities. The pool with that beautiful view is breathtaking. Everyone is so pleasant. Tammie H., thank you for your kind words and this wonderful review! Thanks again for taking the time to leave us this information about your recent visit. Take care! Hi Yvonne G., thank you so much for your positive comments about The Grandview at Lake Murray! Thank you so much again for your feedback! We hope you have a great day! I am so impressed with my apartment at The Grandview! The office staff are so personable and helpful. My move went very smoothly and stress free! Mcur*@*.com, it's experiences like yours that really keep us motivated! If you ever need anything else from us, please feel free to give us a call or stop by. Have an awesome day! Kathleen L., thank you for your kind words and this wonderful review! Thank you so much again for your feedback! We hope you have a great day! Absolutely love the atmosphere and the area, I’ve never felt safer in an apartment complex! Only thing I would change if I could is appliances. We’ve had to get a couple things replaced/ fixed because they keep breaking which is only reason I wouldn’t give full 5 stars. Other than that I LOVE it here. Chloe W., thanks for your praise and kind comments about our team. We're glad to hear we delivered such a great experience. If there's anything further we can do for you, we are happy to help! Just getting started but pleased with the staff and the quiet atmoshere. I enjoy the nice view of the lake and look forward to exploring the nearby lakefront areas. Awesome and prompt customer service, The amenities and grounds are always kept clean. The location is great- very close to restaurants, shops and the lake. Hi Laura W., thank you for taking the time to leave a review for us at The Grandview at Lake Murray. We're happy we could meet your expectations! Thank you so much again for your feedback! We hope you have a great day! I would highly recommend the Grandview to anyone. My apartment is really nice and so is the neighborhood. I always feel safe in this community. Ashley G., your wonderful feedback and rating mean a lot to us. Thanks again for the recommendation, and have an amazing day! Hi Charlene C., thank you for taking the time to leave a review for us at The Grandview at Lake Murray. We're happy we could meet your expectations! If you ever need anything else from us, please feel free to give us a call or stop by. Have an awesome day! Grandview is everything I was looking for. The apartments are modern and spacious, the amenities are wonderful, and the staff is so friendly. The monthly resident events are so fun! Christine S., thank you for your kind review; we are happy to pass along your comments to the team here at The Grandview at Lake Murray! If you ever need anything else from us, please feel free to give us a call or stop by. Have an awesome day! I have been here 1 week and it feels like home already. Everyone in the office is extremely helpful and we have pizza night coming up! Looking forward to some warm weather to get in some pool time. 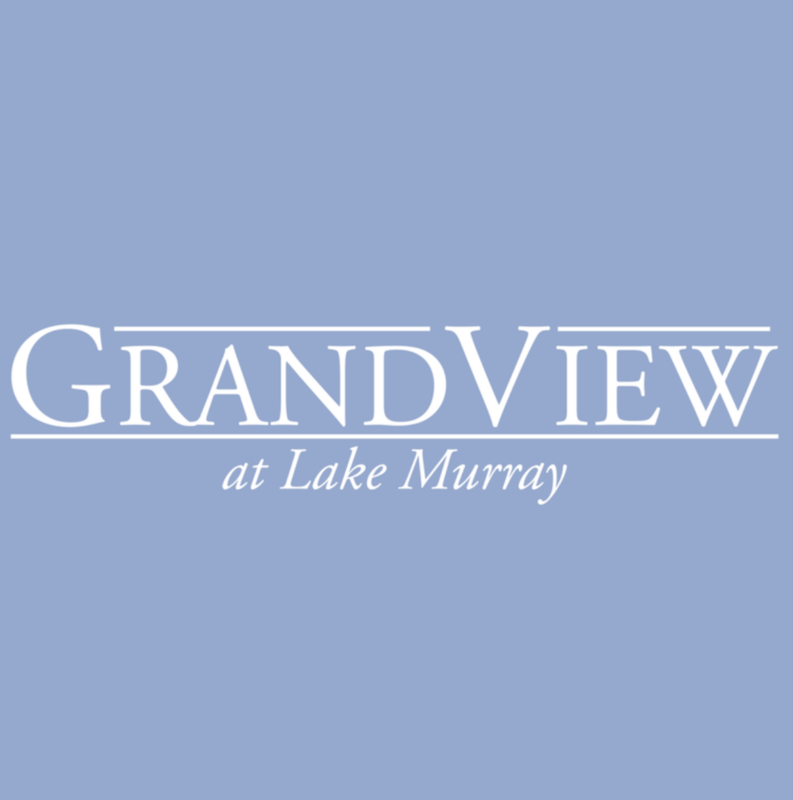 Jim H., we are so happy to read such a great review about The Grandview at Lake Murray! Thanks again for the recommendation, and have an amazing day! Great area, nice office staff, great views. Would like to see the landscapers do a better job. Glad the gate is fixed finally. Wish there were cameras on premise. Amanda B., thank you for your kind words and this wonderful review! We are always more than happy to assist you if anything else comes up. Take care!